This particular folk festival has taken place every year since 2006. 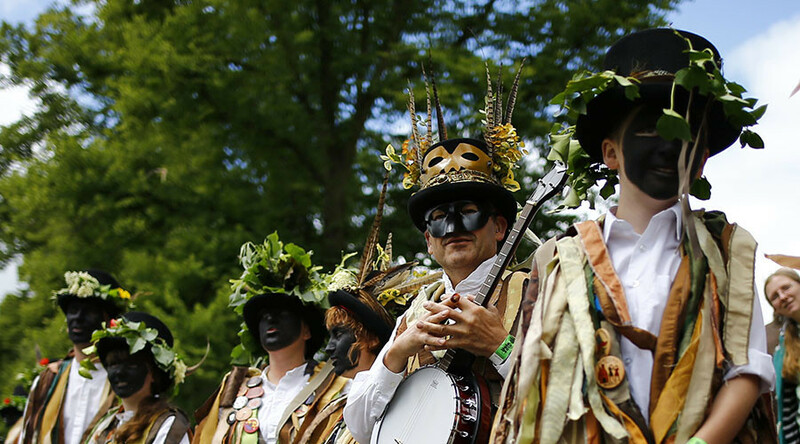 But this year’s Morris dancers are facing a strict rule that wasn’t present in previous years. “The festival has never wished to cause offense to any person and as such, from 2017, we will no longer book sides [acts] that use full face black makeup,” festival director Sandra Surtees said, according to the Telegraph. “We have been approached by one group that has requested we no longer book sides that use full face black makeup and another that has asked us not to change our policy and to continue to book these sides,” she said. Ultimately, the festival decided to ditch any Morris dancers who insisted on wearing black makeup – a move which has been praised by many, including local equality group Fairness, Respect, Equality Shropshire (Fresh), which contacted festival organizers after a complaint from a member of the public.